An office building currently under construction in Lagos, Nigeria is turning heads even before its completion. Designed by Domaine Public Architects, the building was nominated for the title of Best Office Building at the 2016 World Architecture Festival, and it's easy to see why. The project, entitled Otunba Offices, has an innovative design which incorporates what some refer to as passive house principles. These principles include structural elements which are meant to make a building extremely, measurably energy-efficient from the ground up. Instead of relying completely on air conditioning, the building is designed to stay naturally cool. Because heat rises, upper floors are larger than lower floors, spreading out temperature in a consistent way, without the need of artificially-generated cold air. And the innovative cooling doesn't stop there. Otunba Offices features natural ventilation oriented in such a way that the building will be shaded throughout the majority of the day, and vertical slits along the building's exterior allow wind to get closer to insulation, resulting in a natural temperature drop. Otunba Offices is also designed to have as little impact as possible on the surrounding land. According to Karim Fakhry, International Principal at Domaine Public Architects, "the design is simply the opposite of many traditional office buildings." As she explains, "rather than serve as a model for maximizing built up area with a receding floorplate, the reverse approach emphasizes a minimized footprint and expanding upper floors." In other words, Otunba Offices is small at the bottom and larger at the top, allowing for minimal impact on things like trees and other vegetation at the construction site. Perhaps the most interesting and eye-catching feature of Otunba Offices is the double-layered vegetation which will be planted along designated parts of the building, providing more shade to those areas. Because plants are still considered one of the best ways to remove CO2 from the air, the vegetation will further reduce Otunba Offices environmental footprint. Another key factor of the Otunba Offices design? Community involvement. 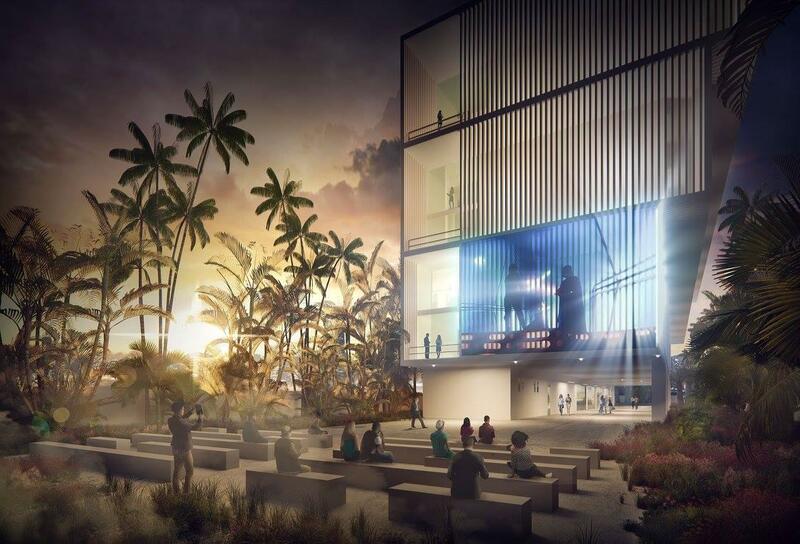 The building includes several multi-purposes public spaces, and communal areas, where the community could choose to do anything from creating a garden to holding concerts and other events. In this way, designers hope to involve the community in the project, and to improve the productivity of office employees by making their office space a more pleasant place to work.